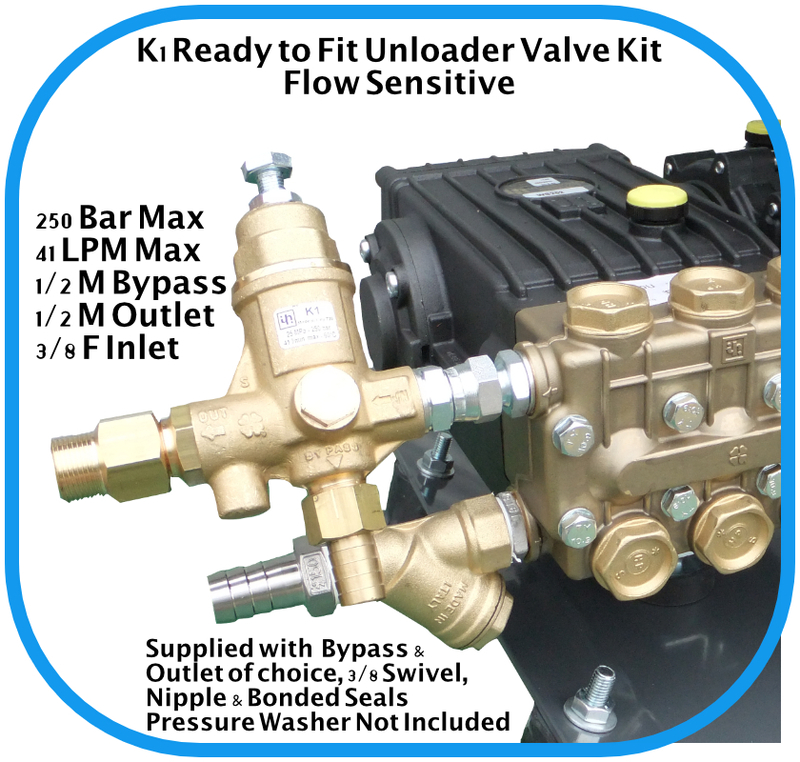 Flow sensitive K1 unloader valve with a choice of different inlet, outlet and return to tank fittings. Fitted with a 3/8" BSP male inlet from your pump and a swivel to adjust the angle of the unloader on the inlet of the unloader. Outlet fitting options include an M22 male screw fitting, a 3/8" midi female stainless steel quick release and a large 3/4" MTM female quick release. Return to tank fitting options include 12mm brass hose barb and 1/2" Nito female quick release. Dowty washers included.